My name is Bruce Gibson, CEO of Online New Zealand, one of New Zealand's premium Internet Marketing Companies. We currently have offices in Auckland, Hawkes Bay, Wellington, Marlborough and I am now here in Christchurch to assist local businesses generate more internet traffic to their websites. I have been involved in Business Marketing for almost forty years having run several successful retail businesses as well during that time. My current position of Graphic and Website Designer, Search Engine Optimisation and Internet Marketing Specialist has evolved over the past 15 years and I always try to keep up with the latest trends in Search Engine Marketing (SEM). I am now able to offer my valuable website development and promotion services to small to medium sized businesses here in Canterbury. If you are after an Internet Expert, I can help you expand and develop your online side of your business easily and cost effectively. Online NZ is well respected by the major search engines and our own site now generates over one million visits each year. 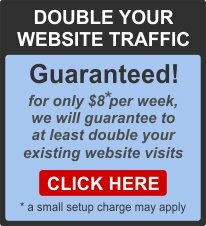 There are very few other businesses of our nature that can generate this great amount of traffic for themselves, let alone for their clients. 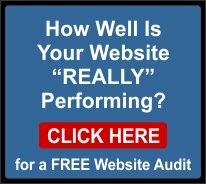 We have a unique Marketing Plan that we use to assist our clients in getting their own website found more easily. We have created a unique "association", so each of our clients enjoy our very high pedigree and therefor their websites inherit the high respect Online NZ has earned. I have been able to help hundreds of businesses with their online development both overseas and here in New Zealand. You can view some of our success stories here. I have a passionate love of the Internet Technology and enjoy the challenges that the 21st Century Technology offers. A business in the 21st Century now has no excuse for not being online, given that over 80% of your customers are now looking for your business online. Failure to compete by not having your business well featured online in this day and age could well see the demise of your operation as your competitors gobble up your share of the local market. You can also easily identify website faults here. Call us if you want to discuss your findings and let us find some effective ways to improve your "site score". I liken the internet to a HUGE highway. Along the edge of the highway, there is a huge forest. 95% of websites are now hidden in the forest so they really aren't that easy to find. Online NZ build our client's websites visibly (correctly optimised for search engines) on the "internet Highway". 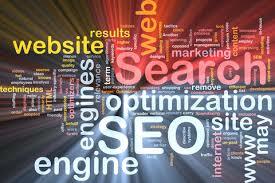 In addition, we even build a nice path (internet marketing programme) for people to find your website more easily. last but not least, we place a large attractive sign outside ("keyword" strategies of the phrases that tell viewers what you have inside) to welcome your visitors.